The tension between Naruto and Gaara builds, and Naruto finds himself not only understanding his rival but also sympathizing with him. But that doesn’t mean he’s gone soft. 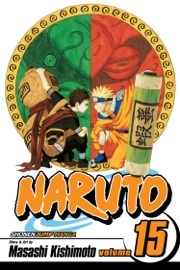 As Gaara continues to mutate, Naruto prepares for the fight of his life!